To a good quality small hand made iron occasional table. 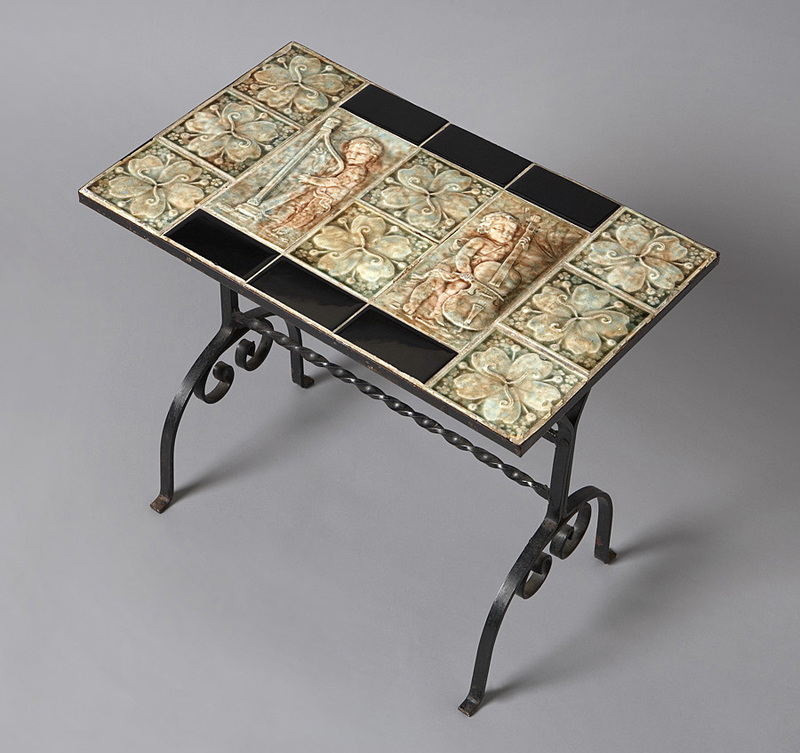 The top mounted with American Victorian raised tiles c.1880 which are muticolored and figural and floral. A great Cast Iron Garden item.